WanderMan: I Found It! A Better TPMS Deal - YMMV. As many of you already know, I have been looking at TPMS (Tire Pressure Monitoring Systems) for some time. I looked at pretty much everything available, both here in the US and available to ship in from China. Mostly, I found that the "cool" ones with lots of features were limited to 45psi tires, so wouldn't work on most RVs. The Truck or RV versions were decidedly "old school" with limited displays and no real features. The moral of this story? If you look hard enough and keep at it, you can uncover almost anything you want with some perseverance. When I began looking it was all about features I needed, features I wanted and the price. I knew I HAD to have both pressure and temperature monitoring, that was really to ensure the safety of myself, my passengers and my RV. I really WANTED to be able to see all the tires pressures and temperatures at the same time. The one-at-a-time style that flips through each one seemed too distracting to me. I wanted remote sensors that would screw onto my existing tire valves so I didn't have to unmount/mount and re-balance my tires every time I needed a battery change. I wanted a display that would fit comfortably on (or in) my dash, would be able to be hard wired so I wouldn't need to mess with batteries, and the display itself should be neat to look at AND informative. Lastly, the price. Seems that the basic ones are around $250.00 and up depending on how many wheels/tires you'd like to monitor. Since I have only 4 tires (which makes having TPMS so critical for me!) I was at the low end of the price scale. Still, $250 sounds like a lot of money. We should be able to do better. After lots of tireless (pun intended) searching online I found a better deal!! This unit, the Whistler Tire Scout TS-104 reads from 0-99PSI and has a small, easy to read display. Retail it's 149.99. You can find a better price if you look around a bit. It includes 4 sensors, so it's great for me. Unfortunately, they do not make a model with more sensors so for many RVs, this will not work. There are alternatives, but with 6 or more sensors you are back up to that $250, not so magic, number. Install is incredibly easy. First, unpack the box and put the batteries in the remote sensors. Each is marked with the tire/wheel location. (LF, RF, LR, RR) Remove your existing valve caps, screw the sensors on in the proper location. Plug in the receiver and setup as per the directions. A few button pushes to customize and it's all working. I hard wired my receiver into my engine battery harness, but it does have a lithium ion battery pack that should last for quite a while. You COULD charge it periodically. I'm just too lazy for that! I mounted the receiver on the left side of my dash, on top. It's small enough that it does not obstruct my view at all. Kind of "cute" really. Did I just say that? Sheesh! The system comes on when the vehicle is started and the sensors begin to transmit when you begin to drive. I did worry a bit about someone stealing the sensors, but more likely I'll go to put air in or check the pressure and leave it off. There is a small rubber seal inside the sensor that can get squished and destroyed if you screw them on improperly. There are 4 extras in the box. I did notice it can take a few seconds to a few minutes to see a reading, but that's not so bad. Besides, you should check your tires before every long trip... you do, don't you? The receiver has customizable alerts. You can set the threshold for a warning. What PSI and/or temp is considered too low... or too high. It will tell you when it detects a rapid pressure loss with an icon and/or an alarm. Same thing for high temperatures. So far I haven't heard any. That's a good thing! The big white button lights up when there is an alert, so it should get your attention pretty quickly. the receiver's display is also back-lit so you can read it at night and in low light conditions. All in all, I like it. Makes my trips safer and reduces the worry about a blowout. Low pressures and high temperatures can cause lots of problems. Keeping your tire pressures properly can save you gas! Seriously, low pressure in your tires will affect your gas mileage. You can improve your gas mileage by up to 3.3 percent by keeping your tires inflated to the proper pressure. Under-inflated tires can lower gas mileage by 0.3 percent for every 1 psi drop in pressure of all four tires. So, obviously it's better and safer! Tire pressure monitoring systems are now mandatory in all passenger cars in North America. I believe they are a worthwhile addition to any RV. Just the peace of mind, knowing what your tires are doing, makes road trips just a bit more relaxed. of course I hear every odd noise when i drive and paranoia runs rampant, but hey....that's me! have you tried using nitrogen? its stable at all temps, but some places out of the way may not have it. Nitrogen is more stable and holds pressure better than good old atmospheric air does, but the cost, usually around 7 dollars a tire is a bit nuts! Some places, if you purchase tires from them, will maintain the nitrogen fill for free...but not many! Our motorhome tires call for pressures of 105psi so this monitor won't work for us. I know. It's a problem. When you get into bigger rigs with more heavy duty truck style tires, the cost goes up. You can find a higher pressure TPMS that will support up to 170PSI, but not more than 4 tires. 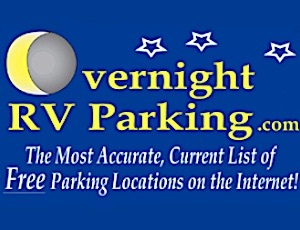 I would love to hear what you have found for us that drive Motor Homes that have 6 or more tires. I was ready to buy the one you reviewed until I read that it will only monitor 4 tires. I need 6 tires included. Thanks for the review. I wish I could find one that was this low in price, worked this well and would monitor additional tires. Alas, I haven't found one with external sensors/ There are china imports that have INTERNAL sensors that meet the requirements, but dismounting, remounting and balancing all you rtires seems a bit over the top. I'll keep looking! Tire Tracker will monitor up to something like 12 tires. We have it, but I often have 'no s' warnings. Still getting the kinks worked out. Thanks for the info. I wonder why they feel the need to charge so much for these. I read that it has problems monitoring 5th wheel tires because of the distance from the tires to the monitor. Any thoughts/comments? Depending on the distance to your furthest tire. You will have problems with many TPMS wireless systems. Many manufacturers even make a booster that re-transmits the signals from those far sensors. You place it someplace in the middle. It's more of a limitation of the transmitter power than anything else.